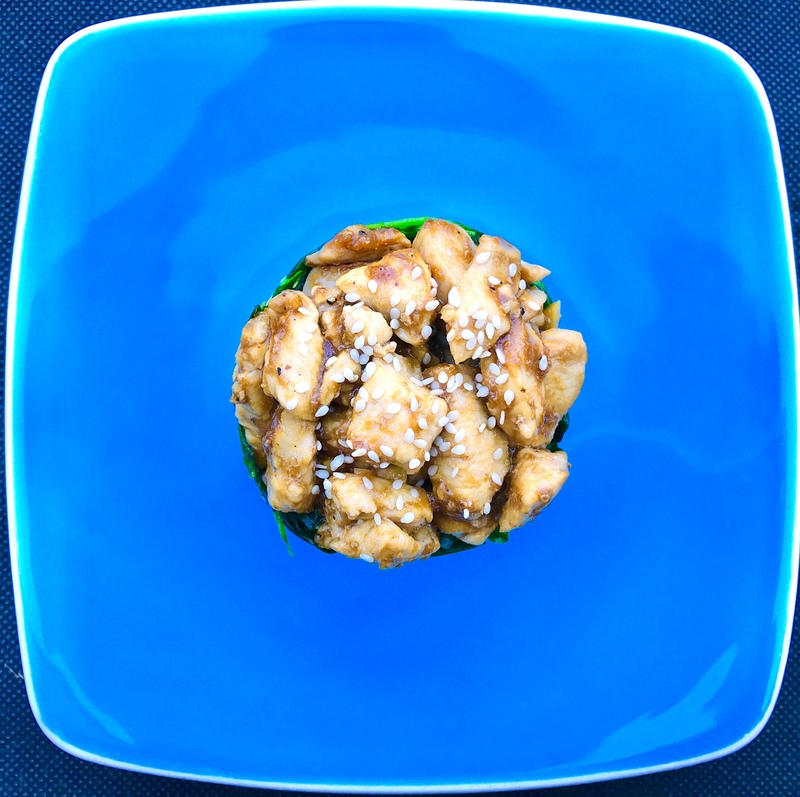 – Put the ginger paste, light soy sauce and coconut sugar in the bowl. Mix well. – Heat the rapeseed oil and garlic in the pan, until the garlic turns slight golden brown in colour. – Add the chicken and stir fry for approx. 4-5 minutes. – Add the sauce mixture into the same pan and cook for further 3 minutes. – Add a little splash of dark soya sauce and ground pepper. – In a separate pan, flash fry the spinach with a tiny bit of oil until soften. 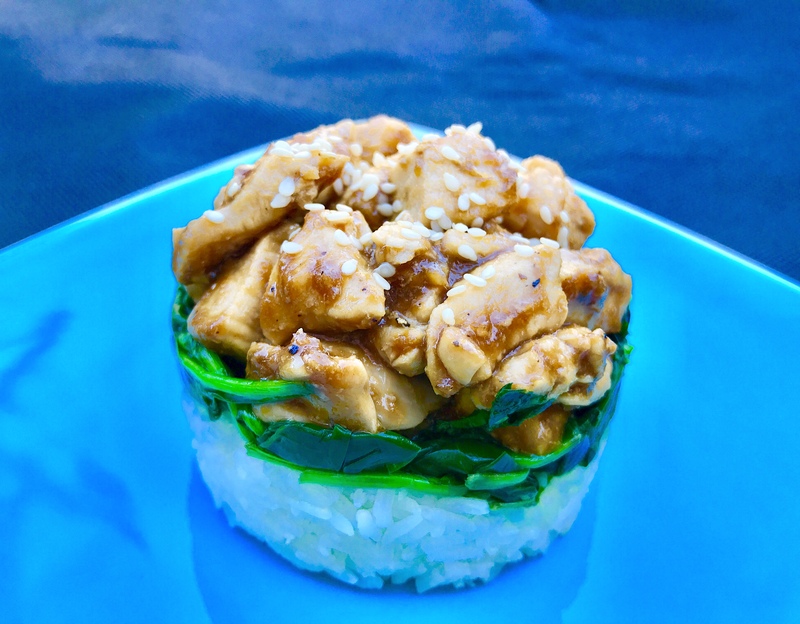 -Assemble the dish by put the Thai Jasmine rice, spinach then Chicken in Garlic and Ginger Sauce on the top. Serve immediately. Tips: I do like to garnish Chicken in Garlic and Ginger Sauce with the tiny bit of chopped red chilli and sesame seeds to make this dish more aromatic and prettier.